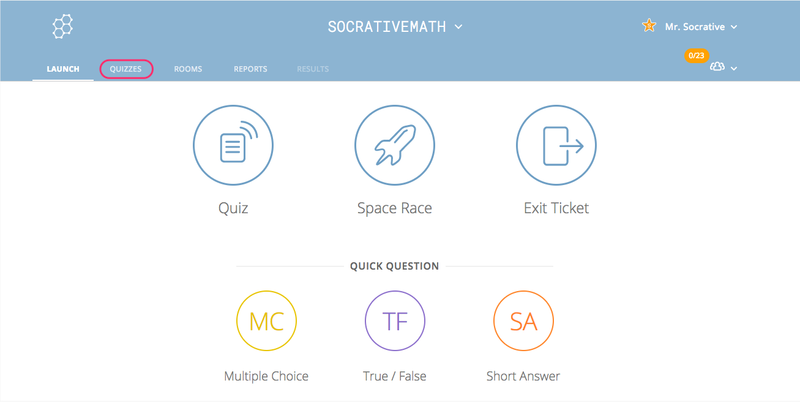 Both folders and quizzes can be deleted. Doing so will place them in the Trash. 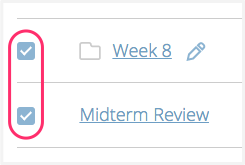 Locate the folders or quizzes to be deleted and select the item(s) by clicking the checkbox to the left of the name. Click the Delete button in the main view. Deleted items are moved to the Trash. 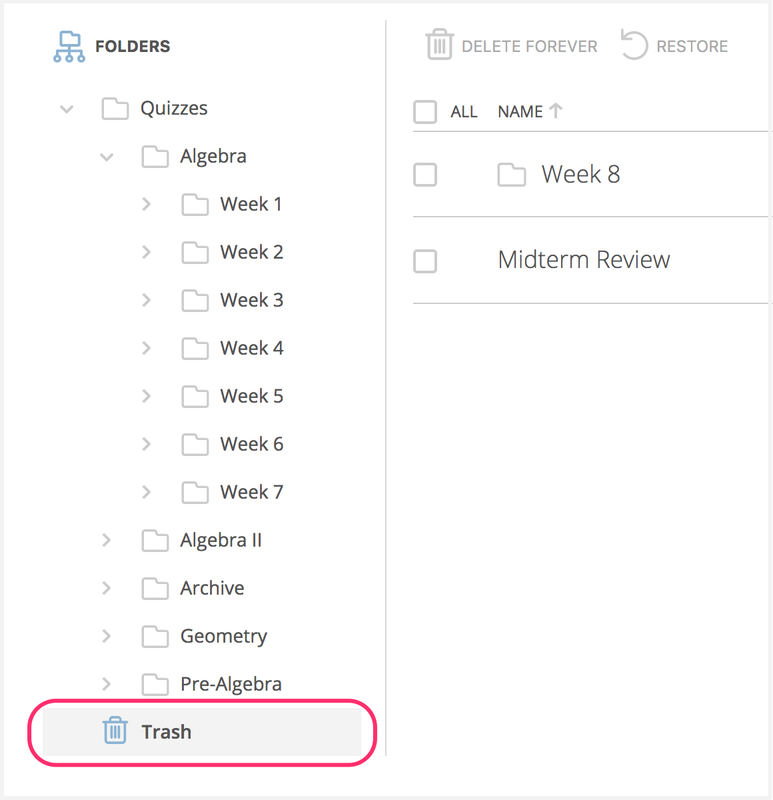 To view the contents of the Trash, click on Trash in the Folder Tree. Items in the trash can be deleted forever. 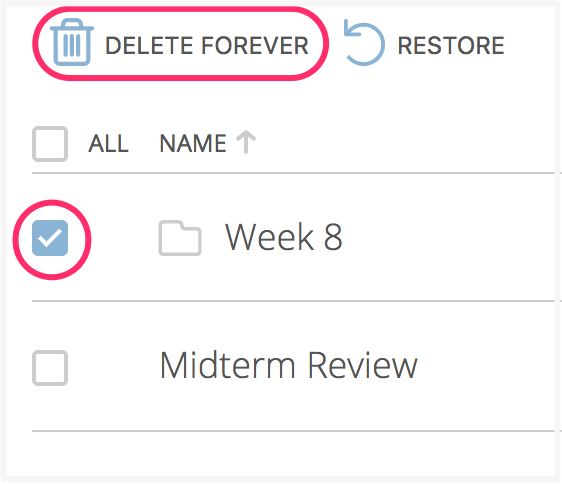 To delete the items forever, select the items and click on Delete Forever. When an item has been deleted forever, it can not be retrieved. Items in the trash can restored to their original location, if their original location has not been placed in the trash or deleted forever. 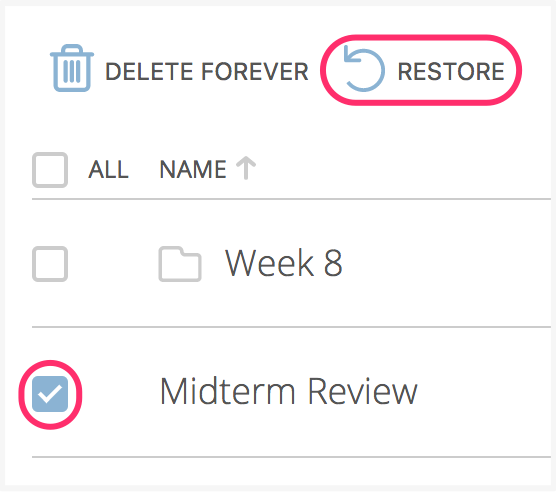 To restore an item to its original location, select the item and click Restore.